The definition of sport includes 3 criteria. 3) All of the players know the rules.. If showing and/or a specific breed is not important to you, you should consider adopting an abandoned pet. You may hear of a rescued Yorkie needing a home, or you might find one in an animal shelter. The Human Society Of America and the Animal Rescues Organizations do their best to place Yorkie and other unfortunate pet that, through no fault of their own, end up in Pounds or are destined to go there. Most of these pets came from puppy mills, back yard breeders and/or were bought in pet stores. Rescued pets may not have registration papers, and are generally placed with the requirement that they be spayed or neutered (if that has not already been done). A small fee may be asked to offset the expenses of rescuing. Adopting a rescued Yorkie or any other pet will give you a loving and sweet companion at a reduced acquisition price. It will also give you the change to save a life. However, prospective rescue owners should understand that there may be some things to consider. Rescue Organizations do a very thorough job screening the dogs, but there are occasionally behavioral or medical issues that are not readily apparent (on the other hand, rescued dogs with known behavioral problems are generally not placed to the public at-large). So, before deciding to rescue a "loving friend" make sure you ask the organization that particular pet's personality and behavior. If you have children and other animals, ask the organization if that pet is going to be good with children and other pets. Deciding to acquire a dog is a big decision and depending upon the age of a dog, its needs are similar to that of a new baby, a spouse or an elderly person. More information on this subject will be found on Sabrina Parisi's book: "Passport Of A Champion". 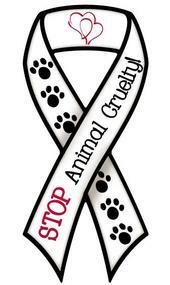 DO NOT SUPPORT PUPPY MILLS AND PET BROKERS TRUE PET STORES!! SUPPORT & PROMOTE RESPONSIBLE BREEDERS... because if "Responsible Breeders" would disappear this world will be full of "Puppymills"
BELOW A LIST OF LINKS WHERE YOU CAN FIND MORE INFO ON PUPPY MILLS. It's a very sad world when people start looking at dogs as a business- they should be looked at as family members and adored for all the love they give us. Having a pet is a privilege-we all need to treat them that way. If we can eliminate the demand for poorly bred dogs, in turn we may eliminate the amount of dogs that are put to sleep in shelters every day and the dogs who are suffering from hereditary problems that could have been prevented in the first place. A state funded survey in California found that nearly half of the puppies sold in pet stores were sick or incubating diseases. There are over 4000 federally licensed breeding kennels in the United States. About 500,000 puppies are sold per year in the 3,500 pet-stores. The puppymill industry in Missouri alone is valued at 40 million dollars per year. The majority of puppymills are located in seven states: Missouri, Nebraska, Kansas, Iowa, Arkansas, Oklahoma and Pennsylvania. Note: Not all breeders in these mentioned states are puppy-mill! What about the new "designer dogs" you keep hearing about? Labradoodles, Maltipoos, Schnoodles, etc. are nothing more than mixed breeds. They are not a "designer dog". If they were, then every humane shelter is full of designer dogs... go save a life! These mixes are being publicized as "the next big thing" which is making the breeders of these dogs able to charge extremely high prices for them- over a thousand dollars for a mixed breed puppy. Those who don't like the term "mutts" being put on these designer dogs state that all purebred dogs were created from mixing breeds. While it is true that this occurred, there are extreme differences in how this happened. VERY IMPORTANT TO TAKE IN CONSIDERATION: The process of creating a new breed and achieving FCI and AKC recognition is long and involved, requiring many years and many generations. A “breed” is a genetically similar strain of dogs that resemble each other in appearance and temperament. Bred together, two dogs of the same breed will produce puppies that are also similar in appearance to the parents and will develop in a predictable fashion. The first step in creating a new breed involves a definite vision of what the breed will look like and the writing of a breed standard to describe it. For example, what characteristics must a Yorkie-Poo have in order for it to be considered a Yorkie-Poo? What is a Cocker-Chon or a Peke-A-Pom supposed to look and act like? To date, no breeders of these “new” breeds have even taken that first step. There has been no agreement among breeders even as to what a Yorkie-Poo is supposed to be other than a cross between a Yorkshire Terrier and a Poodle. After years of mixing these breeds, no two Yorkie-Poos look anything alike; neither are any Peke-A-Poms or Cocker-Chons similar to one another. There has not been any serious effort at all to create a distinct breed that the FCI and/or AKC would ever recognize. Those individuals who are breeding these so called "designer dogs" usually do not do any of the proper testing or titling, and many of them don't properly screen puppy buyers at all- as long as their payment clears, they can have a puppy. These designer dog breeders state that mixed breeds have less health problems than purebred dogs. This is very untrue. Mixed breeds actually have more of a chance of health problems due to the lack of testing by the breeders! One of a kind — yes, that's certainly true! Every mixed breed dog, whether bred deliberately or by accident, is one of a kind because its genetic makeup is an unpredictable jumble of characteristics. No two are alike. Does this factor alone justify a high price, higher than what's charged by many reputable breeders of quality purebreds? No way. If “one of a kind” made a dog valuable, every mixed breed dog at the pound would be worth a fortune! Think about it! Save a life, adopt from a shelter or rescue group. Don't feed into the designer dog hype and be fooled into paying thousands of dollars for a mutt. Sadly, finding a reputable breeder can be quite a chore. You will NOT find a reputable breeder though a pet store. Pet stores sell puppies that they receive from "backyard breeders," and "puppy mills." These terms get thrown around a lot, and not many people actually know what they are. A "backyard breeder" can be anyone- your neighbor, coworker, anyone. They have a couple pets and decide to breed them- thinking they'll make a lot of money. Any cretin can breed dogs, but doing it correctly takes quite a bit of time, knowledge, and money. Backyard breeders may adore their pets, but they can't seem to realize that they are only making things difficult for the dogs. Not only does breeding incorrectly put the health of the dogs in jeopardy, but it creates more pets that are at a high risk of having health and temperament problems. These poorly bred dogs are also more likely to end up in shelters or abused, neglected, and running the streets since most backyard breeders don't properly screen potential owners. A responsible breeder test her dogs for any hereditary problems. She will never breed animals that are carrying major problems or do not reflect the standard of the breed. She will have titles on her dogs (CH, MH, FC, TD, etc.). Yes, responsible breeders do show their dogs in order to improve their breeding program. She will want to speak with you and meet you if possible before you buy one of her dogs. A responsible breeder will evaluate you. She will sell her "pet quality" puppies on spay/neuter contracts with a limited registration unless the puppy is intended for show purposes. She will be interviewing you more than you are her. She wants to make sure that you are suitable to have one of her precious dogs. She will have extensive knowledge on her breed, standard and care. She will tell you the great traits of the breed as well as the bad traits. A reputable breeder will also question you thoroughly about how you are going to care for her puppy. She will want to know if you have a fenced in yard- some breeders will not sell to those who do not have a fenced in yard due to the breeds tendency to roam. She may even want to contact your vet to see how you cared for your other pets- if they were vaccinated on time, if they were brought in for dental cleanings, if they always appeared to be well kept. If you are purchasing a breed which requires grooming, a responsible breeder will also want to talk to your current groomer or groomer for your past pet- to see if you brought the dog in on a regular basis or if the dog was a matted mess each time. Approximately 500,000 puppies per year are bred in puppy mills across the country, facilities known for their filthy, overcrowded conditions and the unhealthy animals they produce. Only half of the pets bred at puppy mills make it to the pet store; the other half die from the mill's squalid conditions, hypothermia, starvation, or other horrors of transport. These dogs are not humanely put to sleep- that would cost money. These dogs are either shot, drown, or beaten to death. Money is these people’s only concern! Money is these people’s ONLY concern! Yes, these poor puppies are born on chicken wire, often without shelter from the sun, rain, or snow. Cages are stacked on top of each other, with urine and feces dripping onto the dogs below. Puppies are taken from their mother when they are 5 to 6 weeks old and sold to brokers who pack them in crates for resale to pet stores all over the country. The puppies are shipped by truck or plane and often without adequate food, water, ventilation, or shelter. Almost half of the puppies do not survive the trip. Puppy mills and pet stores maximize their profits by not spending money on proper food, housing, or veterinary care. The food that is fed in puppy mills is often purchased from dog food companies by the truck load. It is made up of the sweepings from the floor and is so devoid of nutritional value that the dogs' teeth rot at early ages. Pet shops are 99% supplied by puppy mills, no matter what they say! REMEMBER: By buying a dog from a pet store, you are keeping this process going. I know that in your heart you think you will be saving one, but you're not. You are simply taking one home and making another cage open up at the pet store- that way they can bring in another litter. Pet stores often tell customers that their puppies come from local breeders or quality breeders. Don't believe them, ask to see the paperwork and find out where the puppies really come from. Any reputable breeder will NOT sell to a pet shop. So if you want a puppy, and you know now that you should not buy from a pet shop, where do you go? If you want a purebred, there are many reputable breeders for every breed imaginable that will sell you a quality, healthy puppy costing much less than a pet shop. 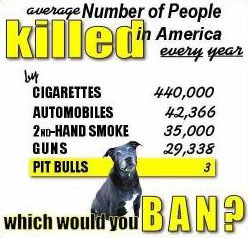 Contact the national breed organization for references. Remember that "Purebred dogs" are not necessarily better pets, so, you may want, after all to save a life and adopt from your local animal shelter, which has many loving, quality, homeless animals that are desperately in need of homes. If you answer any newspaper ads, be cautious! If there are many breeds offered, chances are, it is a small-scale version of a puppy mill. 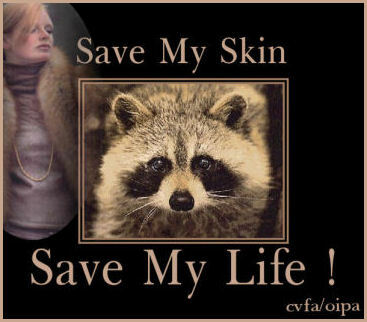 Do not support these individuals by buying from them! 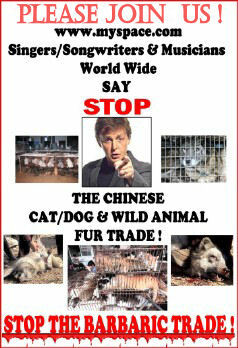 What can you do to help stop this cruelty? You can help in the fight against puppy-mills by supporting the fight against pet-shops that sell live animals. 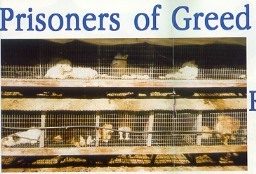 The pet-shops are the major reason that the puppymills exist. Pet-shops should only sell animal' supplies or items (foods, accessories, magazines...). If we can educate people where the puppies come from and how they are bred and mistreated, along with how many end up dying to get just one to the pet shop window, maybe we can slowly end the need for the puppymills and their cruelty to the dogs. 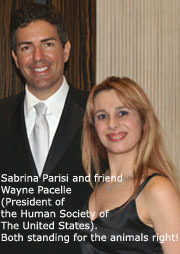 Dolce Sinfonia supports the hard work of The Human Society Of The United States. Dolce Sinfonia supports and welcome charity events. Dolce Sinfonia Quote: "To all the pet lovers & pet owners: Please remember to spay/neuter your pet, place ID tags on, and microchip your pets!!!" Are you ready for a rescue Yorkie? There are many and all extra adorable!!! The majority of these babies come from an abusive situation, from puppy mills or from pet stores.  Click the image to visit the Yorkshire Terrier Rescue Network, and to complete the adopting form. Please, do NOT support puppy mills. Promote responsible breeders! On November 1st 1567, Pope Pius V issued a Papal Bull (bulla - metal seal) banning bull fights, fights with animals and killing animals for fun. He called such 'sport' " the work of the devil " and threatened excommunication to all who indulged in it. This Bull still stands. It has been reinforced by subsequent Popes. John XX111 wrote ..... Man must never hurt animals. Must never ill treat them nor torture them physically because they are sensitive creatures. If anyone told me that to achieve my purpose it would be sufficient to kill an ant, I would not do it. Bullfighting aficionados contend that the events are battles to the death in which either participant, the bull or the matador may die. 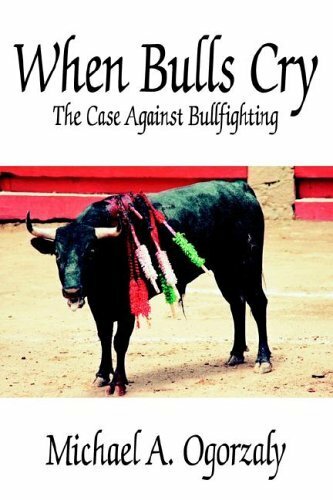 In reality, the bull never has a chance to win, and the bullfight is only a cruel spectacle of human dominance. Studies have proven that before the bullfight even begins, the bulls are weakened with drugs. Their horns are shaved to throw off their equilibrium and they are kept in total darkness before the event so that they are blinded when they are forced to enter the arena. During the first stage, picadors, men on horseback, drive pics into the bull's neck to start the flow of blood and to anger him. Next banderillas gouge brightly colored spears into the bull's neck to lower his bead in preparation for the kill. The barbed spears continue to move and dig into the bulls back throughout the fight, causing bleeding and tissue damage. The bull may also experience internal bleeding. Once the bull has been weakened by blood loss, the matador taunts the bull for several minutes before he stabs the bull between the shoulder blades. He aims for the bull's vital organs, but often misses, causing the bull to suffer further. Often, the bull maintains consciousness, even as the matador and his team begin carving his ears distribution as trophies.